Implementing an ERP project is a mammoth task for any organization. There are many process changes that take place during the course of the implementation. Certain processes are modified and redefined while many other processes are shunned. The whole implementation has to be carried out systematically to avoid any chance for a failure. People are the most important asset for an organization. It is these people who drive the ERP implementation forward and make this a reality. Senior management and project managers must make sure that all the organizational changes accompanied by ERP implementation are taken care of. How should an organization manage change? As already stated, people are your assets. They are the ones who are going to use the new technology. Understanding their perspective is extremely important to get their support. Work with the staff at the ground level so that everybody feels connected to the project. Make them understand the impact of implementation and the changing roles & responsibilities they are going to be bestowed upon. Regular communication between senior management and mid-level employees is crucial to the success of the project. All hierarchical barriers and office politics need to be shirked for progressing unanimously towards the target. Utilize the services of employees who are already trained in ERP. Handle senior employees with care. ERP projects involve significant amount of investment in time, money (subscription to cloud-based services mostly preferred by SMEs), realigning the processes, hiring project manager, ERP consultant and training the employees. Is your change management strategy incorporating all the factors in deducing a practical return on investment? Make sure that these returns are going to sustain and add to the bottom-line of the organization in the longer run. The ERP projects are built around objectives. To measure the performance of these objectives, you need to set Key Performance Indicators. KPIs will give you a direction to where the project is heading in a more objective manner. This gives you a window of visible reforms that can be carried out if any KPI measures poorly. You have to remember that ERP projects are not complete overhaul of the system. Though there are many new processes introduced, the project is built upon existing processes. There are good processes and bad processes. During the implementation phase, you need to figure out what old processes you need to keep and what need to be dropped. Build upon the existing accepted processes to form a reformed process design. It is quite possible that you never felt the need for training your employees due to the limited size of your organization or you deem training as an expensive choice. 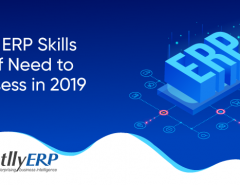 ERP programs cannot be accomplished without developing a proper training program that may include a decision on in-house training, hiring a trainer, training facility and content development. The training needs are different depending upon the role of the employee. Training certification is another way of encouraging employees to learn and adopt the new system. It is a value-addition to their skill set as well. 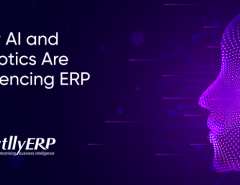 Undeniably, ERP projects are something new for your organization and there is lack of experience to handle ERP in the organization. Problems are likely to pop up in such a scenario. Do not panic but identify the problems. Look for the right solution with the help from project manager, IT team and your key employees. 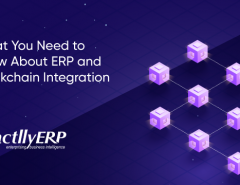 Change may seem intimidating but when it happens at an organizational level and when ERP is implemented with those changes in mind, it can actually be the silver bullet you were always looking for. 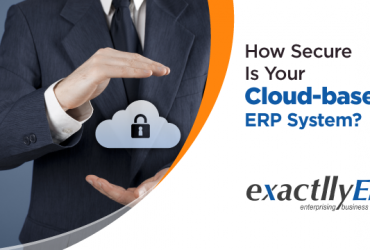 Previous Article How Secure Is Your Cloud-based ERP System? 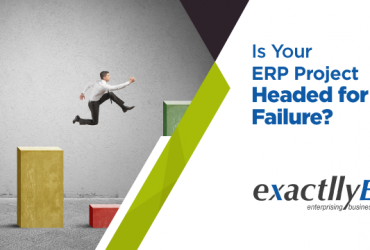 Next Article Is Your ERP Project Headed for Failure?